Spotlighting this fabulous autobiography - it's on my TBR and should definitely be on yours. In the tradition of A Heartbreaking Work of Staggering Genius and Truth & Beauty—from one of Variety’s “10 Comics to Watch,” a poignant tragicomic memoir about the author’s beautiful, funny, and heartbreaking relationship with his younger sister and the depression that took her life. Adam Cayton-Holland went from a painfully sensitive kid growing up in Denver, Colorado, to a writer and performer with a burgeoning career in comedy. His father, a civil rights lawyer, and his mother, an investigative journalist, taught Adam and his two sisters to feel the pain of the world deeply and to combat it through any means necessary. Adam chose to meet life’s tough breaks and cruel realities with stand-up comedy; his older sister chose law; their youngest sister, Lydia, struggled with mental illness and ultimately took her own life. This devastating tragedy strikes the Cayton-Holland household at the same moment Adam’s career is finally getting off the ground. 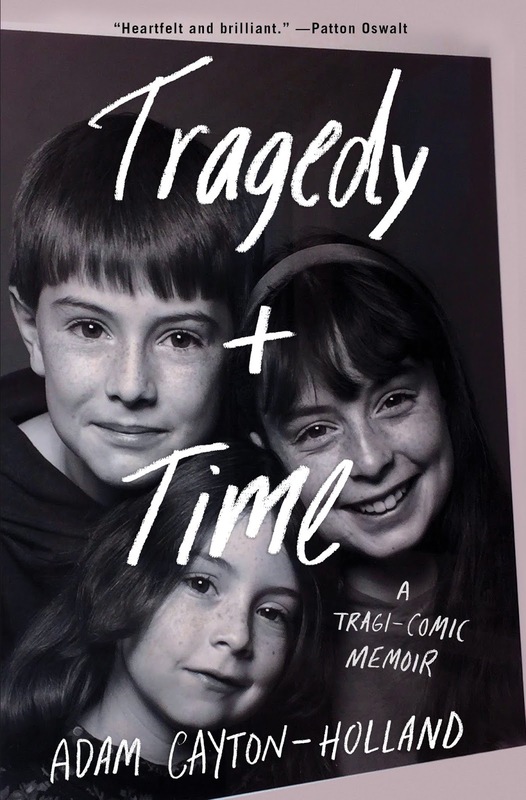 Both a moving tribute to a lost sibling and an inspiring guide to navigating grief and pain, Tragedy Plus Time is a heartbreaking, honest, and darkly funny memoir about trying your hardest to choose life in the wake of a terrible loss. 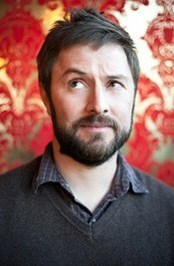 Adam Cayton-Holland grew up in a close-knit family deemed “The Magnificent Cayton-Hollands” in Denver, Colorado. Adam combatted life’s tough breaks with stand-up comedy (one of Variety’s “10 Comics to Watch”), his older sister pursued law; their youngest sister, Lydia, struggled to find her place in the world. When Adam sank into a deep depression in college, it was Lydia who was able to reach him and pull him out. But years later as Adam’s career took off, Lydia’s own depression over­took her, and, though he tried, Adam couldn’t return the favor and was left to grapple with the trauma while simultaneously having to focus on his budding career in comedy. Both a moving tribute to a lost sibling and an inspiring meditation on mental illness, grief, and recovery, TRAGEDY PLUS TIME is a revelatory, darkly funny, and poignant tribute to a lost sibling that will have you reaching for the phone to call your brother or sister by the last page.